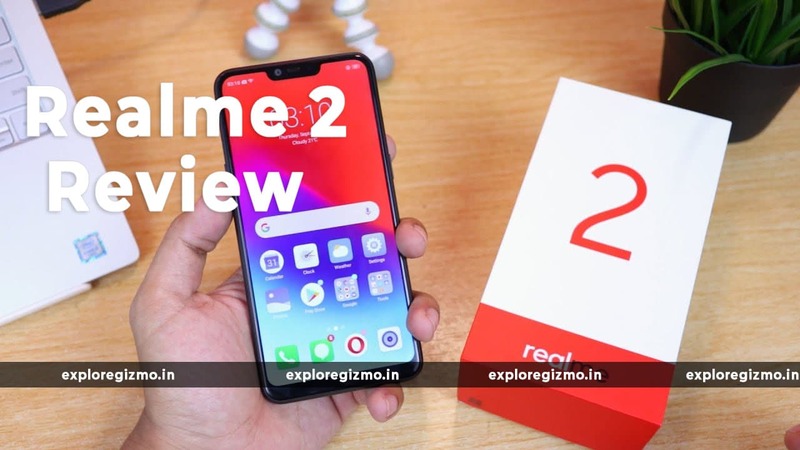 The Oppo former sub-brand Realme launched the Realme 2 in this year after the successor of Realme 1. I have bought the Realme 1 in the second sale. This is my first ever phone when I had purchased the Oppo brand mobile. Recently, Realme circulating the new update for the Realme 1 with the new ColorOS 5.2, this is one of the best fines for the Realme 1 user, at least the company doesn’t leave them alone. Realme 2 and Realme 2 pro have a vast difference, but I have bought the Realme 2 only. The news from the center for Realme 2 pro user is they will get the slow motion before the end of the December 2018. Realme 2 comes with two variants 3GB + 32GB and 4GB + 64GB with four different colors like Diamond Black, Diamond Red, Diamond Blue, and Diamond Red. Dual Sim, comes with plastic transparent case cover, protection(pre-applied), adapter, cable, warranty card, and quick guide. Realme 2 comes with the diamond cutting and 12 layers of composite material plus glossy finish look in light at the back side of the device which looks a premium body. My Realme 1 was also the same diamond black variant. The front looks big in display comes with the notch and pre-applied tempered glass, the left side of the device has the volume up and down button and a sim tray, the right side of the device only has a power button. The bottom side contains a USB charging plug and having a mic jack alongside the speaker. The top doesn’t have anything. I am not much impressed with the Realme 2 camera, the lack of quality and sharpness makes the device worst. The rear camera is disappointed here, very poor performance in the low light condition and a lot of grains you can see it, however, the front camera comes with the beautify mode which is standard these days like any other brand devices. The front camera has an AI mode to detect the condition of the selfie. The battery takes full charging time around 2 to 2.5 hours approx, there is a slight heat up while charging or gaming, which is normal and nothing to be panic. While playing a pubg, I noticed you would get around 4-5 hours continuously playing the game, while in the normal condition, it lasts a whole day. With the ColorOS we could not see the actual battery graph about draining and idle which is disappointed. Due to the weak processor, we can’t play games like Pubg or Asphalt 9 smoothly even in the normal mode It feels laggy issues but not much in pubg. Try to shut down the background apps like Facebook, WhatsApp, etc. to free some memory. Face unlock, and fingerprint sensor is high-speed and accurate. Twins apps to make the second account of WhatsApp, facebook, etc. with the primary one. Big screen, love the design, lightweight and easy to carry. Three fingers gesture screenshot and others. No fast charging which is required these days. The problem with the Realme is they are not changing the design of the devices, and all the device looks same whether it is Realme U1, Realme 2 and Realme Pro, all seem identical twins. If you have the same budget, then consider buying Asus Zenfone Max Pro M1 instead because of Snapdragon 636 processor and can be played smooth games like Asphalt 9 and Pubg, because I am using a zenfone max pro m1 3GB+32GB variant, so there is no problem about laggy or if you wait till December we will get the Asus Zenfone Max Pro M2 with notch design and snapdragon 660 processor. For non-gamers, this mobile is for you!